CONCERT @ Byscenen Saturday September 29! FROST Live: Aggie Peterson, Per Martinsen. Visuals: Petra Hermanova. Frost is the musical project of creative couple Aggie Peterson and Per Martinsen. They’ve released two albums together (“Melodica” in 2001 and “Love! Revolution!” in 2006) and a dozen singles and remixes. They have toured all from Paris to London, and played several big festivals like Denmark’s Roskilde and Norway’s Øya Festival. Between them they’ve also been involved in a variation of other projects, such as staging art shows for babies (Aggie), writing dystopian ‘transmedia’ novels (Per), composing scores for silent movies (both), building sub-bass driven laser installations (Per) and putting up stage performances with strange, blonde alter-egos (Aggie). Aggie has also starred in various movie shorts, and Per has a long career as a producer of underground dance music under his moniker Mental Overdrive, releasing records for R&S, Smalltown Supersound and Full Pupp – as well as his own Love OD Communications. 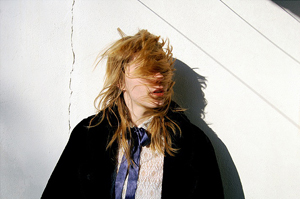 Petra Hermanová (1987, Valašské Meziříčí) works mainly with video, text and drawing. She just finished her studies of conceptual tendencies/intermedia at the Faculty of Fine Arts in Brno under the lead of a prominent Czech artist Václav Stratil and spent one semester at the Royal Academy of Fine Arts in Bruxelles. Apart from being included in group shows in Czech Republic, she has worked and exhibited in Belgium, Bosnia and Herzegovina, Germany, Hungary and Iceland. She took part in several international projects such as Atelier Banja Luka examining possible forms of collaboration or Arlene Tucker’s ‘Translation is Dialogue’. Her diploma work is nominated for this years’ Startpoint Prize for emerging European artists. Currently she’s working with musicians on their visuals and music videos. 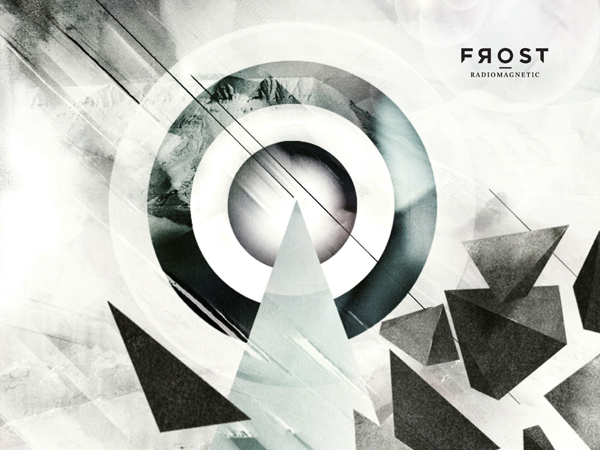 Frost – RADIOMAGNETIC – New Release September 17! In 1999, the Russian settlement of Пирамида, or “The Pyramid”, as it would be called by the Norwegian administrative authorities, suddenly turned into a ghost town almost overnight. Where around 1000 people (mostly Russian miners) had lived and worked since the settlement was sold to the Soviet Union by Sweden back in 1927, there was now a complete silence. The dry climate of the Spitsbergen arctic desert has since preserved facilities such as The Pyramid’s own school, swimming pool, football ground and hospital remarkably well. You can even find toys on the floor of the nursery that the kids had to leave behind in the midst of play, as the Russian authorities ordered an immediate evacuation of the place. In the years that followed, some strange radio signals started to appear across the shortwave AM band in the populated areas within the Arctic Circle. In these transmissions, wonderful pop music could be heard beneath the static. Between songs, a deep and melancholic male voice announced the music in Russian. Nobody knew where these signals were coming from, until a Russian radio amateur recorded the signals, and traced them back to the exact coordinates of the now unpopulated Pyramid. In 2008, after re-locating to their native Tromsø to “monitor the melting of the ice-cap”, Per and Aggie received an envelope covered with Russian stamps. Inside was an old C60 cassette tape labeled Радио Магнитное (“Radio Magnetic” in Russian), and a letter from the analogue-loving radio enthusiast, stating that he had seen Frost perform their soundtrack to the Russian silent movie “Mother” in Arkhangelsk some years earlier, and that he thought this recording might be of interest. Per and Aggie immediately unpacked their old cassette tape deck, put the tape on, and discovered the beautiful music it contained – the music of a ghost radio filtered through static and time, like faint echoes from a recently lost civilization. The whole phenomenon was the most haunting experience, and this tape has been the main inspiration during the writing and recording of the new album – taking a look at alternative, electronic pop through a 2012 lens.